Why Every Media Interview Should be Treated Like You’re on TV! As we continue the countdown to our 8th Annual Media SharkTank event – where leading tech-company C-level execs will have the chance to pitch a blockbuster lineup of business and broadcast press from the likes of the New York Times, Barron’s, Associated Press, FOX and NBC to name a handful – we would like to suggest how to “bait your hook” to reel in the sharks on October 25 (or any media for that matter, whether or not you are participating this year). Here’s an insider tip to prepare to present at SharkTank – a tip that can be universally applied to almost any media interaction – just pretend like you’re on TV, really! And the good news is you don’t always have to get dressed up or wear make-up (which are absolute necessities for broadcast showtime) – as these same tips also apply to the most common of business press interactions – the phone interview. Whether the final media format is print or online, or TV, radio or a podcast, these top five pointers work like a charm. Note: these tips are what most good broadcast media trainers will tell you, and I am here to say these “broadcast” tips work just as well for almost any media interaction whether you’re on the CBS Evening News or landing a story in The Wall Street Journal. Speak in sound bites – on TV, “real estate” is finite, and reporters have to tell an entire story (what is known in broadcast news as a “package”) in 60-90 seconds, so you need to deliver catchy sound bites in 15 seconds or less. And do you think a New York Times reporter would love the same thing? You better believe it! It is not uncommon for big-time business press reporters to immediately cease an interview after they hear that one awesome quote to round out their story – so be succinct. Use cocktail party lexicon – with a television audience typically representing almost every demographic of society, you need to use conversational, easy-to-understand language that caters to your “lowest common denominator.” Explain something as if you were just meeting someone at a cocktail party for the first time – who is not in the technology field – and you had to convey your complex, geeky tech solution in really basic language. Strike tech marketing jargon like “scalable” and “disruptive” from your verbal dictionary before you take control of the microphone! 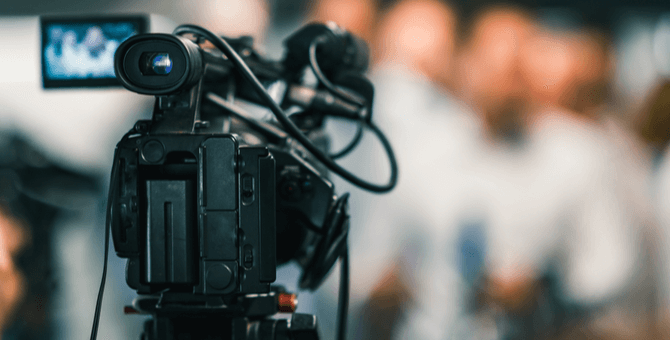 Provide vivid visuals to wow your audience – when preparing for broadcast news, you need to offer reporters and producers several “b-roll” ideas for their stories (because as beautiful or handsome as you are, they want more than your mugshot on the air). The same holds true for business press reporters who are also looking for digital photos, graphics, and images to complement their stories (not boring PowerPoint slides!). As the saying goes “a picture is worth a thousand words,” so think about your visuals that can really bring your story to life – whether on CNN or the cover of Forbes! Humanize your story – to be relatable is to be likeable, so you need to really connect with your viewing audience on TV and relate to business press reporters by sharing your story in a way that matters to them. When practicing your narrative before “showtime,” put your story through the filter of “what’s in it for them” – this will quickly make you pivot from a feature-centric message (where you are pontificating about your spiffy patented technology) into a benefit-rich story that impacts “everyday Joe” and helps to truly make a difference in people’s lives. If you can’t share customer stories on the record, use analogies or hypothetical use cases to convey the major impact your product has in society today and well into the future. Talk like a Toastmaster – while Toastmasters has been around for nearly 100 years (founded in 1924), the public speaking club still offers sage advice that you can take with you into every media interview – whether on NBC News live from Rockefeller Center or meeting with Fortune magazine in Manhattan or pitching a 10Fold Media SharkTank judge in San Francisco this month. One of Toastmaster’s most profound tips for all spokespeople to keep in mind: tell the reporter what you are going to tell them, tell them, and then tell them what you told them! If you keep in mind these five tips – whether for broadcast, print or online business press media – chances are most reporters will take your story “hook, line, and sinker,” and eventually lead to a “whale of a tale” on the evening news or front page of the newspaper!